Welcome back to the weekly Bake Off challenge! It's week three which can only mean one thing, I feel the knead (couldn't help myself) for bread. I'm 100% sure that Mary and Paul would not be best pleased as this week's loaf may sort of be bending of the rules. There was no kneading, nor proving, involved for this bake. 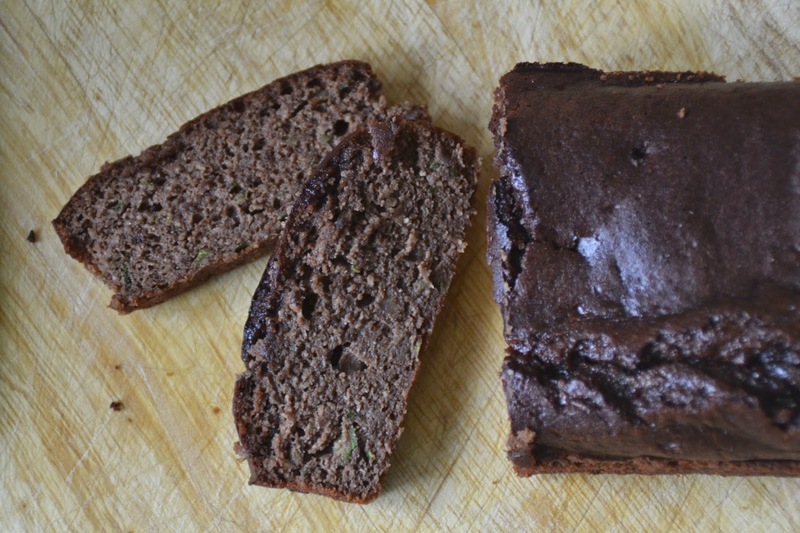 Simply place ingredients all in one bowl, whisk up and pour into a loaf tin. The result? 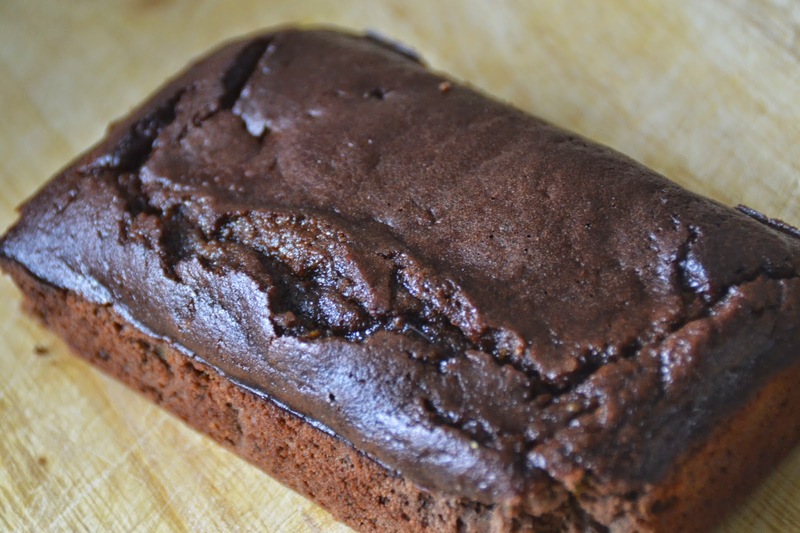 A super moist, chocolate loaf perfect in the afternoon with a cup of tea. Pre-heat oven to around 175 Celsius/gas mark 4 and thoroughly line the loaf tin. Mix together the almond flour and cocoa powder before adding the rest of the ingredients, mixing well in between each one. Whisk well until smooth (you may have some small lumps due to the courgette) and pour into the tin, ready for baking. Bake for around 15 minutes - for a small loaf tin, around 20/25 minutes for a larger loaf tin. At the the end of 15 minutes use a skewer or sharp knife to check that the insides have cooked, if it comes out clean then it's ready to be removed from the oven and set to cool. Because this is such a moist mixture I really suggest giving it a lot longer to cool - perhaps an hour, it you can wait that long! Think as if they were brownies, they may look under cooked to begin with but as they cool it'll start to solidify. It should turn out super soft, moist and melty. 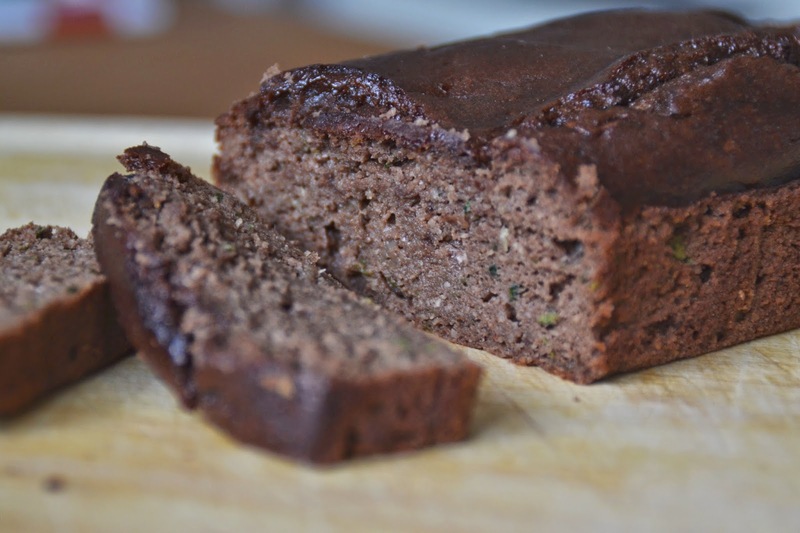 Once it's cooled simply slice off a section and enjoy with a cup of tea. Don't forget to tune into the Great British Bake Off each week Wednesday at 8pm on BBC1!